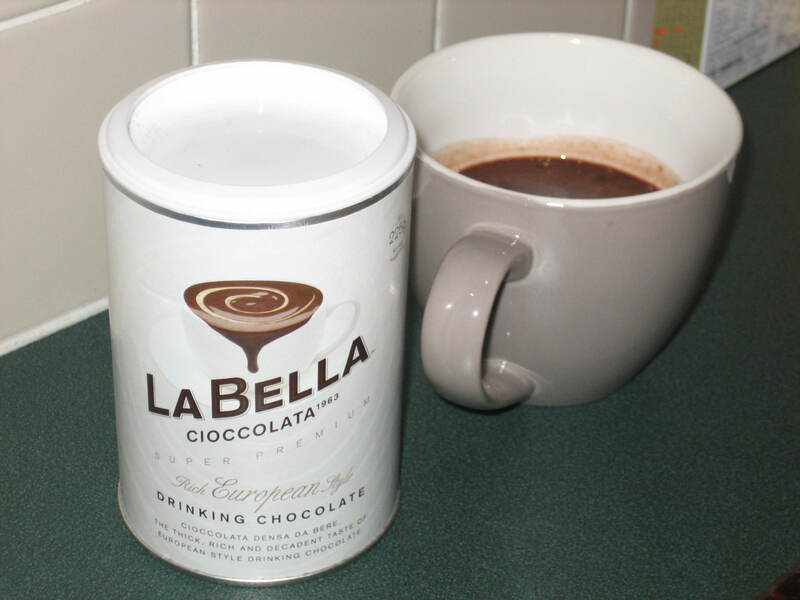 I grabbed this La Bella Cioccolata at the supermarket this afternoon as a little treat for such a chilly day. I was taken in by the great marketing. My suspicions were aroused by the ingredient list that listed no actual chocolate, but rather cocoa, sugar and corn starch, a.k.a. corn flour, the great white thickener! Straight up. Yuck. Not even decent cocoa for a good chocolatey flavour. Would not recommend this at all. 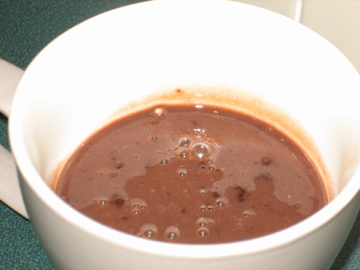 There are many, many other hot chocolate products out there, from the premium Lindt and Haigh’s, to supermarket brands such as Heaven, that are a gazillion times better than this one! you are supposed to put it in milk ya tool. when served in hot milk this is the bEST hot choc by far!! !